Are you Having these 3 Common HR Department Issues? This one goes out to HR pros and management alike. We have some issues here, and I do mean we. 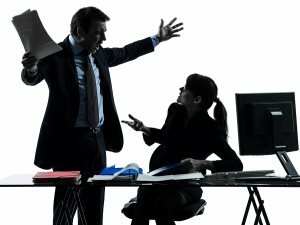 I ran into an HC Magazine article that brought up some great insights into HR-management issues from both sides. I love niche sites like this, because the comments usually end up being just as interesting and insightful as the post! You Hired Them? Seriously, Them? What Exactly Does HR Do? The different services that any given HR professional will provide can very drastically from client-to-client and industry-to-industry. Expectations and responsibilities need to be defined clearly, upfront. Some clients view the HR department as basically recruiters, there to make sure that positions are always filled, and always a match. Others might view HR as paperwork people who can’t possibly understand the type of worker that the organization needs. Still others might see HR as the compliance specialists, there to make sure things are on the up and up. If management’s expectations of their HR department aren’t in sync with the HR department’s directives and objectives, there will be tension. The best way to avoid this particular issue is for management and HR to have an open dialogue about expectations on both ends along with timeframes for those expectations. This shouldn’t come in the form of a “will and won’t do” list. This should be an agreed upon compromise of responsibilities. If Everyone is Talking, Who’s Listening? It’s hard to see when you’re in this locked-swords battle, but it happens quite frequently. The HR department is dead set on educating management about HR policies, trends and concerns. Simultaneously, management is only interested in giving HR context and perspective from their position. Everyone is talking, and no one is listening. Let’s instead come from the perspective of sharing things on a need-to-know basis. Furthermore, if someone has a question about policies or common practice, you’ll know… because they’ll ask. Keep the focus of education on both fronts, relevant and helpful. Like with most professional relationships, a reality check, clearly defined expectations and better communication can go a long way in creating common ground for business. HR and management can have a beautiful thing, if they’re willing to work at it.